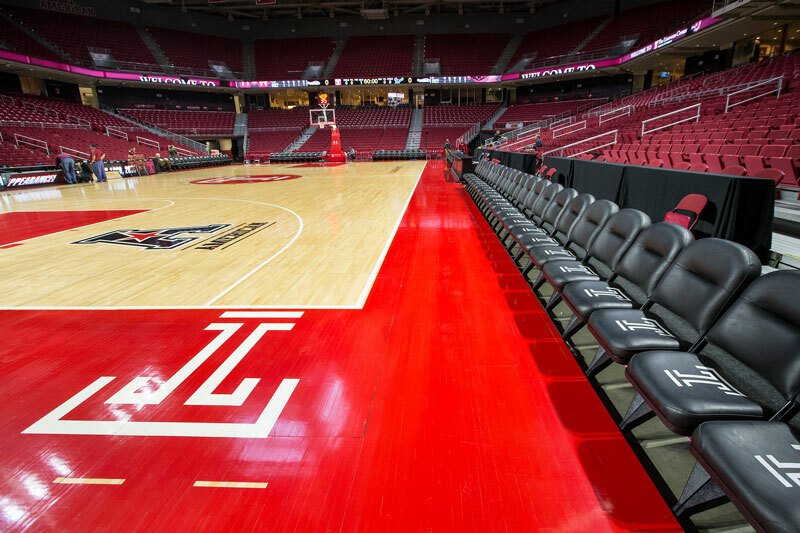 Courtside Seating is located on the baseline and sideline of The Liacouras Center. 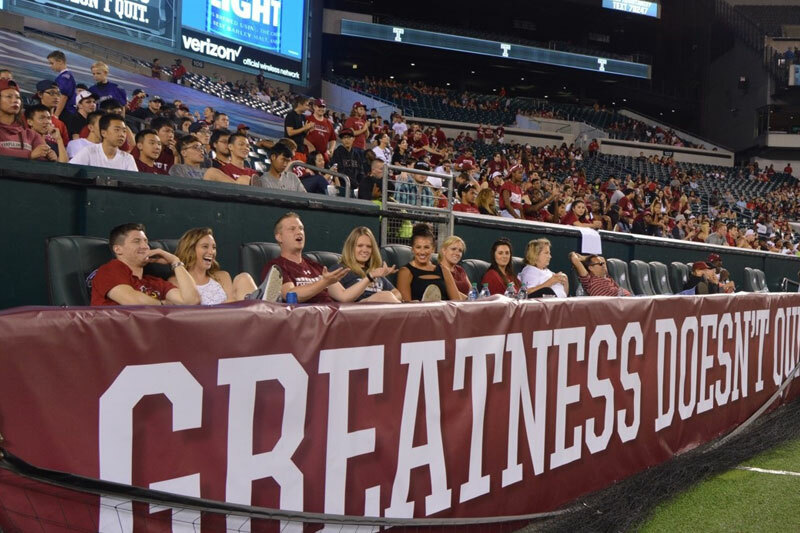 These seats offer a one-of-a-kind experience and distinctive view of all the action. 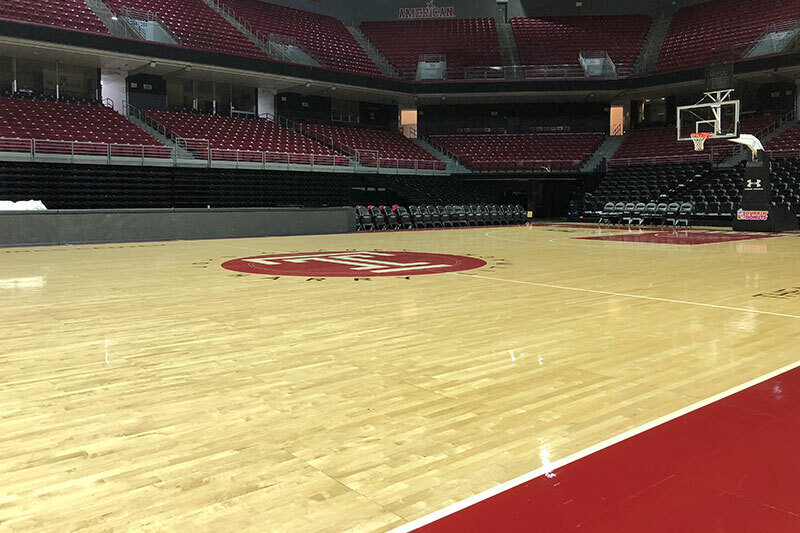 Basketball Suites at The Liacouras Center overlook the court from the north, east, and south sides of the arena. 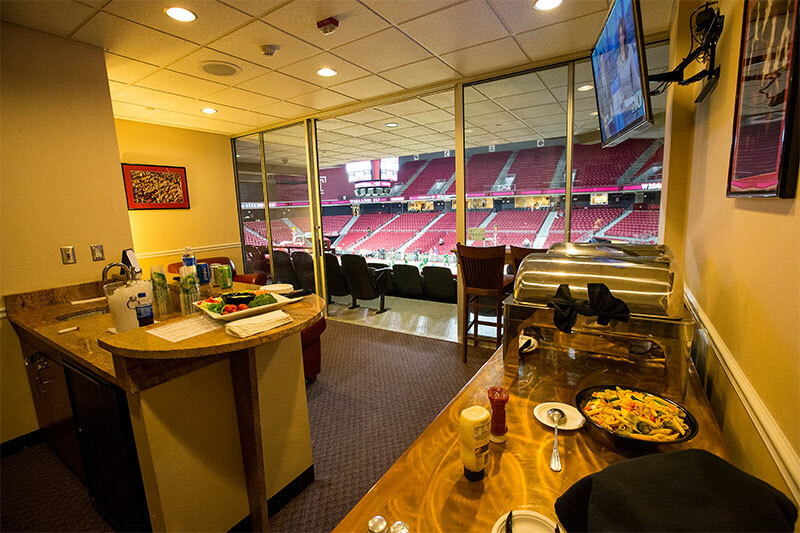 These suites vary in size from 19 to 36 tickets and provide the suite holder with their own private lounge, refrigerator, and bathroom. This is a unique way to watch the game in your own personal setting. 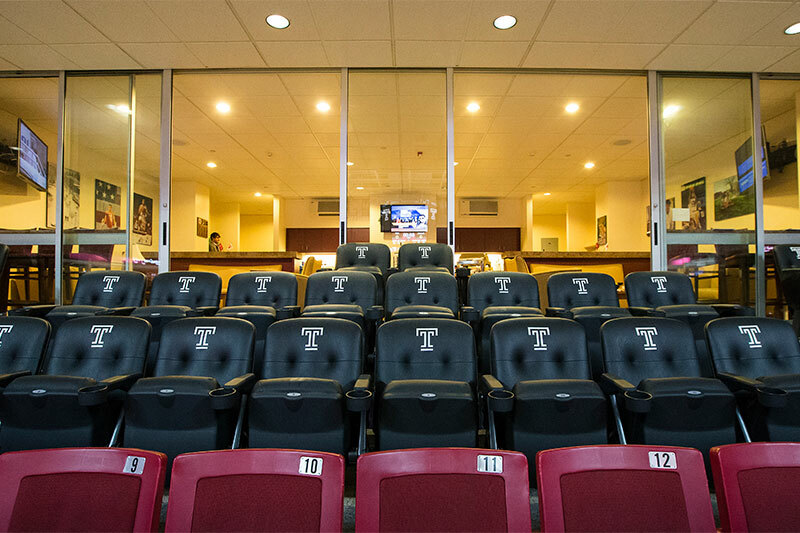 Our Loge Box offers an unobscured view of the court from just above section 116. 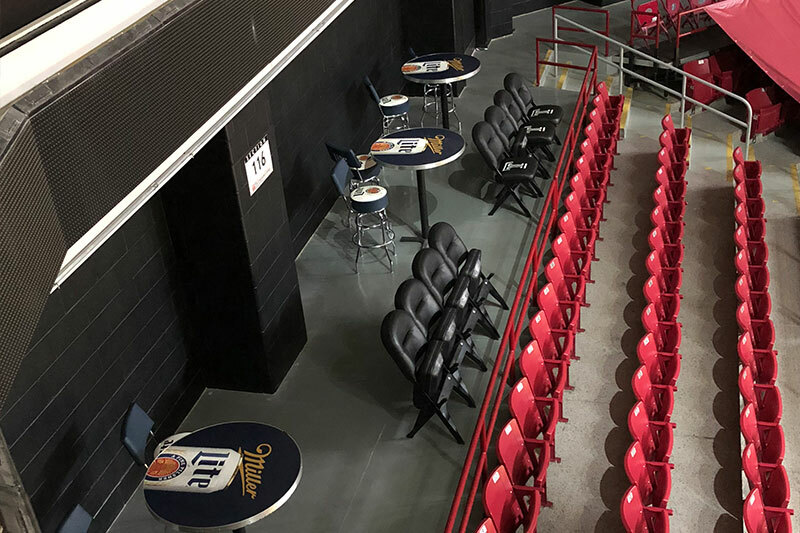 The box includes 20 tickets, and provides a private area to enjoy the game. Pricing ranges from $600 to $640 depending on the opponent. Subject to availability. 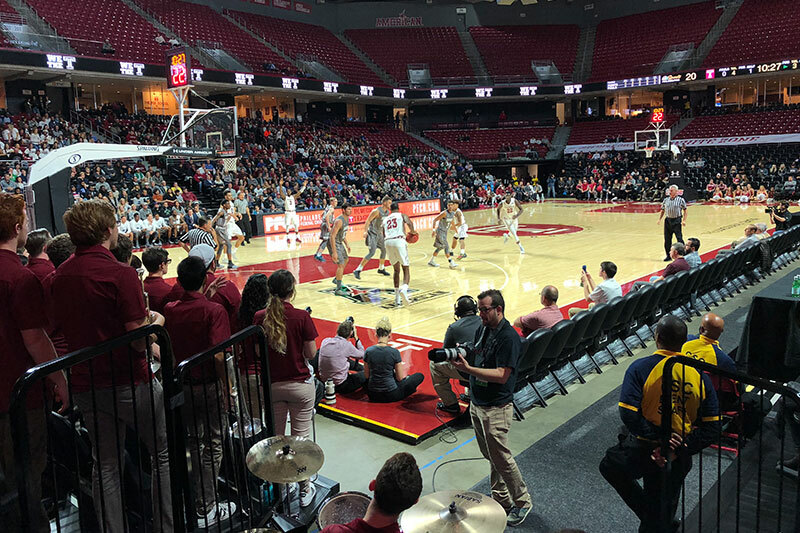 The Courtside Box offers a unique, one-of-a-kind view from the southwest corner of the Liacouras Center. 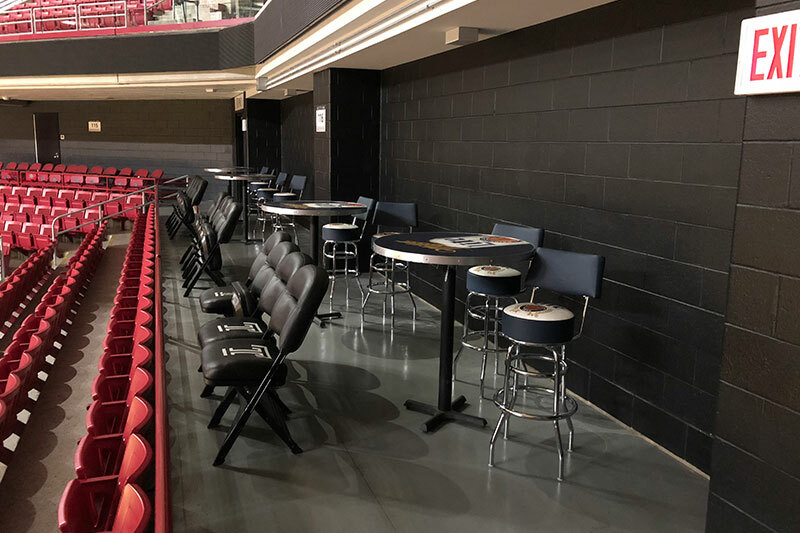 You’ll feel part of the action as these seats sit just feet from the court. 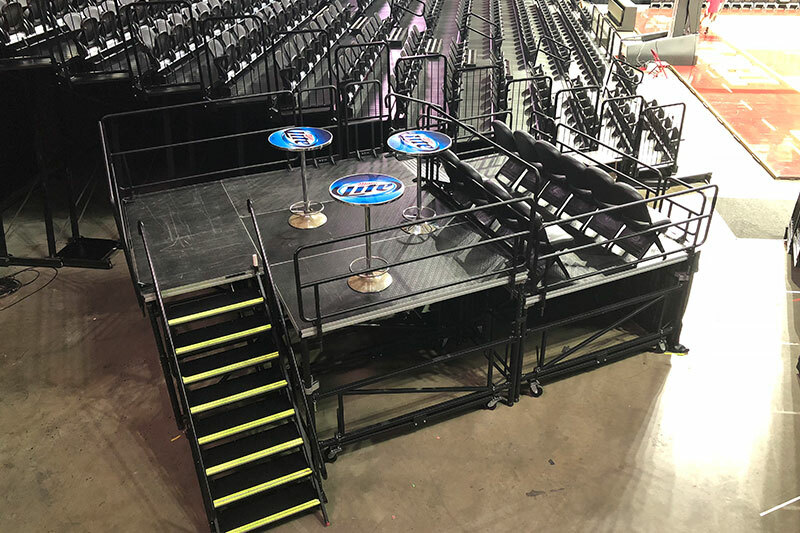 The box sits atop an elevated stage and includes 20 tickets. Pricing ranges from $640 to $680 depending on the opponent. Subject to availability. 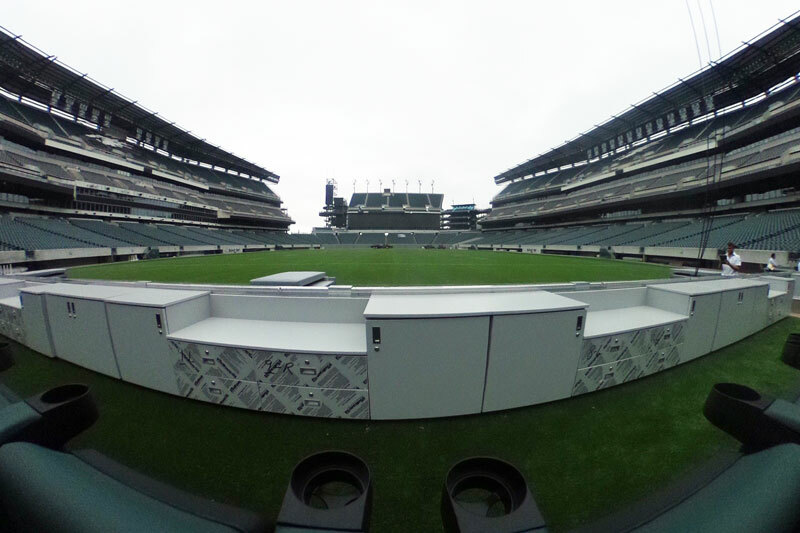 Field Level premium seating is located in the south end zone at Lincoln Financial Field. These seats offer you a unique view of the field, in the seats closest to the action.